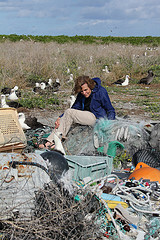 Dr. Sylvia Earle talks to an albatross nesting among marine debris. Photo by Andy Collins, NOAA Office of National Marine Sanctuaries; Creative Commons license on Flickr Commons. 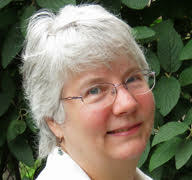 Opposing Viewpoints in Context (Gale-NOVELny) Description of this database.